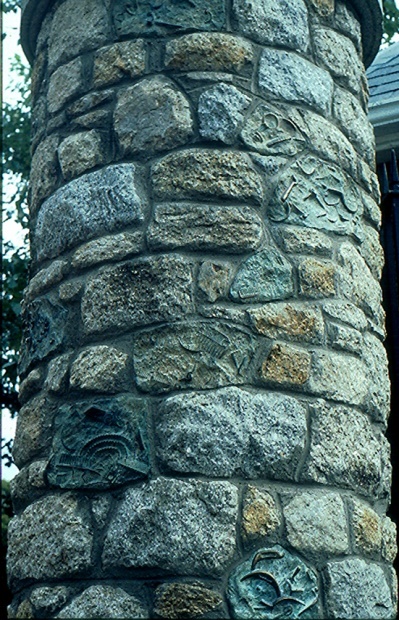 Description: Bronze blocks incorporated intermittently into stonework on four pillars at entrance. ‘Fossil like’ objects embedded to reveal horse tackle i.e. stirrups, bits, stirrups etc. An original stable yard existed on this site. Client: Cosgrave Homes. Commissioned by Designyard.